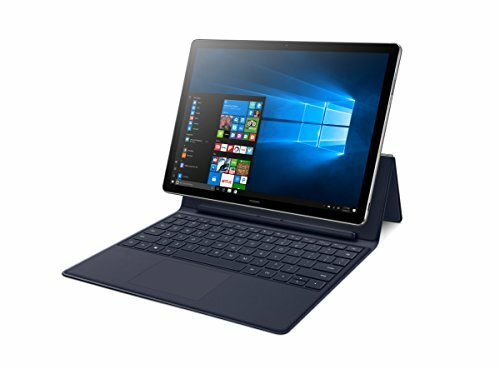 Huawei is better known for its phones, but this rival to the Microsoft Surface Pro shows it’s serious about computers too. 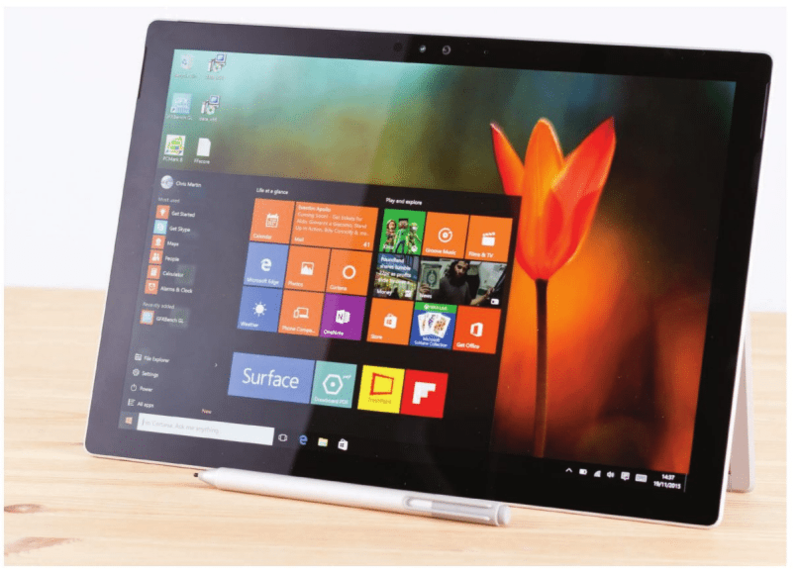 The 12in tablet, running Windows 10, looks wonderful. It’s almost all screen, with just a narrow bezel on all four sides – all the more discreet in white. While many Window’s touchscreen machines are relatively chunky, the MateBook is almost as thin as an iPad Air 2, and the larger area makes it feel incredibly slim. It’s about 50 per cent heavier, but still strikingly light. The display doesn’t have the brightness or contrast of the Surface Pro 4. but with good accuracy across 98 per cent of the sRGB color range It looks excellent. More pixels than most 27in monitors are packed into its iPad shaped 25x17cm screen. Inside is an Intel m5 processor, roughly comparable to a desktop PC’s i3, which ran Windows 10 wry smoothly in our tests. It wasn’t quite so good at multitasking. 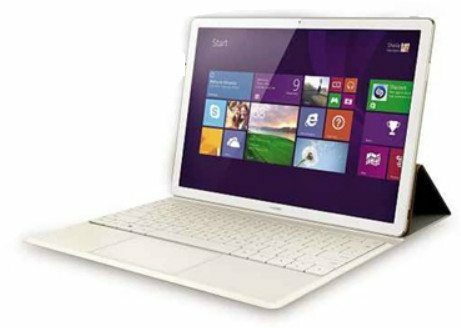 It only has 4GB of memory, so juggling multiple windows or trying ambitious tasks like video editing would challenge it. while 3D games are beyond it. That’s as we’d expect, but we’d hoped for a bit more battery life. The MateBook only lasted six hours in our video-playback test, while the Surface Pro 4 managed seven hours 40 minutes. 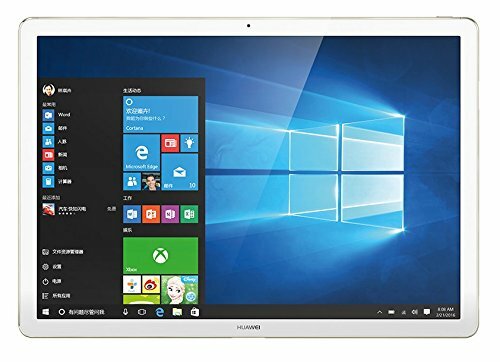 Unlike Microsoft, Huawei includes a keyboard ease in the price, saving you over £100. But we found the keys too cramped and bouncy for accurate typing, and the folding stand only provides two angles: one was too steep for us, and the other made the screen fall over whenever we touched it. At least the touchpad worked well. We also liked the optional pressure-sensitive MatePen stylus, but it costs extra, and at the time of writing, we couldn’t find anywhere to buy it in the UK. 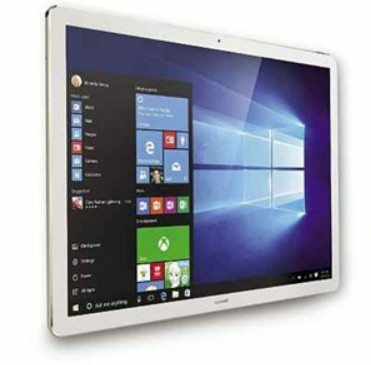 The HUAWEI MateBook is a 2 in 1 without compromise, the ultimate 2 in 1 computing device for Professionals, equipped with 12" IPS 2K display, up to 9 hour battery usage. 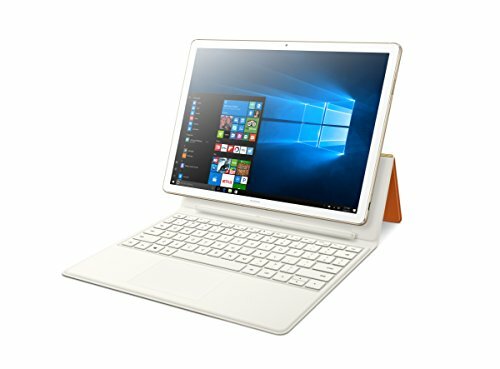 Even with the lightweight design and the tablet dimensions, the MateBook is offering the full scale performance of a modern laptop thanks to the new Intel Core M and the up to date of full Windows 10!